The Currency Museum of the Bank of Japan was founded in 1982 in commemoration of the Bank’s centenary and opened in November 1985. 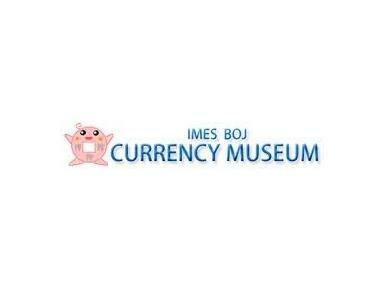 The Museum belongs to the Institute for Monetary and Economic Studies of the Bank. In 2002, to commemorate its 120th anniversary, the Bank decided to transfer to the Museum old gold and silver coins of historical and cultural interest which were previously held as precious metals at the Bank. They will be exhibited at the Museum after they have been examined and classified. In addition to important currency items carefully selected from its large collection, the Museum displays photographs, maps, and other historical materials. Information on the currencies of other countries is also available, helping visitors’ understanding of the history of Japanese money.